Robert J. Stevenson is a dentist who holds a practice in Ann Arbor, MI. 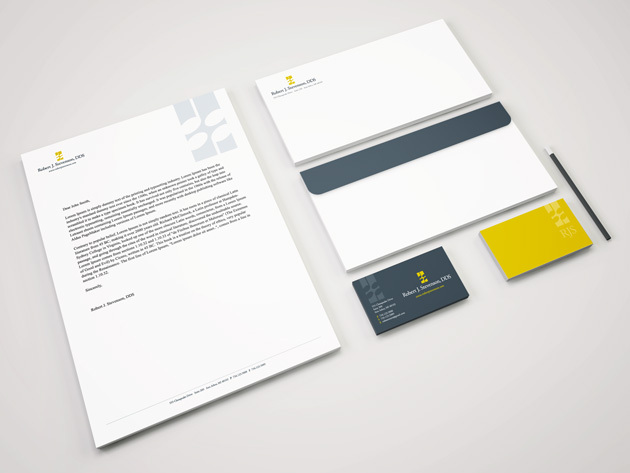 He made an interesting request to create an identity that incorporated his love for music and dentistry. Very nice client and fun project. *Thanks graphberry.com for photo template.